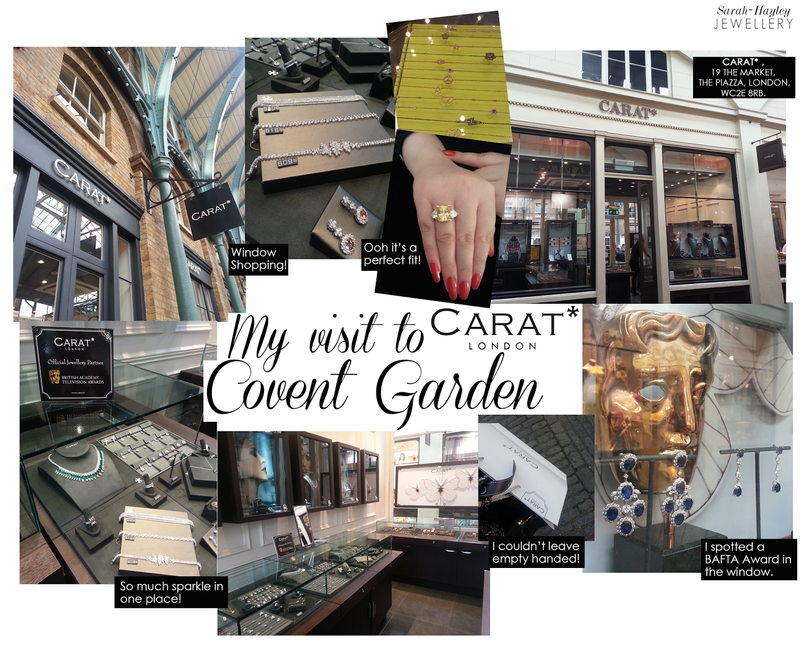 Nestled within the Covent Garden Piazza and immediately above the Opera singing, CARAT* Covent Garden store dazzles from the outside as well as the inside. On my visit this week, I felt like a kid in a candy store as there is so much to see and try on. If you are a magpie like me, it's impossible not to fall for everything. Sometimes when you are attracted to everything within a store it can be a hindrance as you feel there's too much choice. However when you begin to try on things you soon make careful and considered choices, learning what suits you with help from the CARAT* staff. I left the store with a few treats to wear on the Red Carpet today. Look out for my instagram teasers and #CARATLondon tweets live from the CARAT* Style Suite and be sure you are following @CaratLondon for BAFTA news as it comes.